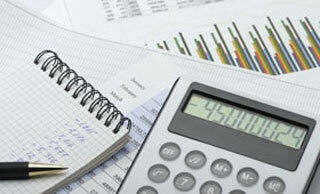 In business since 1975, LaBell Exchange is a highly experienced call center serving Newport Beach. 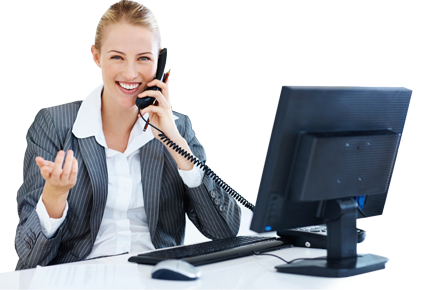 We offer comprehensive telephone answering services that can be customized to fully meet the needs of our diverse clientele. Choose from 24-hour scheduling, dispatching, call routing, payment processing, translation services, advanced message delivery, voicemail features, message taking, order taking, information screening, inbound telemarketing, 800 lines, customer service, virtual receptionists, survey taking, and call recording. Our prices are very fair and we frequently help businesses reduce overhead costs, boost caller satisfaction, increase efficiency, and more. We even offer hassle-free, month-to-month service terms so you can effortlessly adapt your answering services to the changing needs of your Newport Beach business. As a family-owned and operated business, we pride ourselves on delivering telephone answering services that are in our Newport Beach clients' best interests. In fact, we have helped thousands of commercial and industrial business expand their capabilities. For example, we have enabled our clients to dispatch services at all hours of the day and night; assist customers on the phone who do not speak English; provide customer service in compliance with HIPAA regulations; screen calls and forward them when they meet certain requirements; and much more. We have also enhanced the reputation of many Newport Beach businesses as our call center operators are always professional, courteous, and highly trained. You can't go wrong when you choose LaBell Exchange. For our consistently superior call center services in Newport Beach and beyond, we have earned the Award of Excellence for seven years in a row from ATSI (Association of Teleservices International), the industry's leading trade organization. Accordingly, we are qualified to serve a wide range of clients, including legal professionals, healthcare professionals, event and seminar organizers, real estate companies, property management groups, municipalities, and service-oriented companies, such as air conditioning and heater service companies, roofing service companies, bail bonds companies, commercial or industrial equipment rental companies, and crane rental companies, among others. To learn more about how our call center services can help your Newport Beach business, contact us today. In business since 1975, we offer tow truck companies in Newport Beach highly experienced telephone answering services. Our prices are very fair and will allow you to fully meet, if not exceed, your customers' needs and expectations. Using customized scripts, we will provide your callers with your personalized greeting, answers to commonly asked questions and information on pricing, and more. We can also dispatch tow truck services on your behalf using your own 2-way radio system or cell phones. Our call center is available 24 hours a day, ensuring you never miss a call, and all of our operators are well spoken, courteous, and professional. Call today to learn more. At LaBell Exchange, we have over 35 years of experience working with both commercial and industrial equipment rental companies in Newport Beach. Whether you rent tables, chairs, and linens or trucks, bulldozers, and trench rollers, our phone answering services are available 24 hours a day to enhance your rental company's customer service track record, efficiency, and image. All of our operators are courteous, professional, and fully trained in the latest telecommunications software from Startel. They can be trusted to provide superior customer service over the phone and provide reliable call center services, such as message taking, order taking, delivery scheduling, and more--all for a fair rate. Call us today and learn more about our call center services for equipment rental companies in Newport Beach. From expanding the capabilities of a lone property manager to streamlining customer service on behalf of a larger property management company, our telephone answering services offer Newport Beach customers a great return on their investment. We only use the industry's most-advanced technology and are equipped to store personalized profiles with pre-approved scripts, custom hold prompts, property information, leasing information, scheduling calendars, maintenance contacts, emergency contacts, and more. Whether you manage a townhouse, duplex, apartment complex, HOA, or commercial building, we can help. We even monitor property alarms and provide dispatching services in the event of an emergency or routine service need. Available 24 hours a day, our property management answering services are sure to increase your ability to meet the needs of current and future tenants while keeping costs low. Learn more about our Newport Beach answering services for property managers by calling us today. Call LaBell Exchange today and learn about our cost-effective call center services for plumbers in Newport Beach. As a family-owned and operated business, we always prioritize our clients' best interests. That's why use only the latest call center equipment from Startel National Users Group (SNUG) and hire call operators who are professional, courteous, and reliable. You can trust them to accurately schedule routine and emergency plumbing services, as well as to handle customer service, messages taking, payment processing, voicemail trees, and advanced message delivery. Available 24 hours a day, our Newport Beach call center services will deliver an excellent return on your investment. With more than 39 years of experience, LaBell Exchange can be trusted for 24-hour call center services in Newport Beach. We staff highly trained call center operators and are committed to treating everyone with the utmost respect. We've worked with thousands of service-oriented businesses in and beyond Newport Beach, including those involved in automotive repair, packing and delivery, landscaping, plumbing, roofing, security, transportation, cleaning, waterproofing, and more. Our call center services are fully customizable and can include 24-hour customer service lines, translation services, customer satisfaction surveys, complaint screening, after-hours dispatching, scheduling, voicemail forwarding, online purchasing assistance, and more. Available for very reasonable rates, our comprehensive call center services are designed to improve your business's image, efficiency and profitability. Call to learn more. To serve the needs of bail bonds companies in Newport Beach, our call center services often include 24-hour phone answering, custom greetings and hold prompts, operator-assisted message taking, and priority queues. These services are available 24 hours a day and designed to ensure you never miss a call. We answer most calls within three rings and are equipped to accept collect calls from inmates at the Theo Lacy Facility, James A. Musick Facility, and Jail Intake Release Center, as well as any other Southern California jail. Using the industry's latest telecommunications equipment, we are also able to store answers to frequently asked questions, information about your company's bail bond process, lists of jails you serve, blocked caller lists, and more. Plus, our call center operators are very professional and experienced in receiving calls from distressed callers. Learn more today. Busy lawyers in Newport Beach can count on LaBell Exchange for quality answering services 24 hours a day. We offer confidential message taking, advanced message delivery, priority lines, calendaring, information screening, voicemail features, translation services, call routing, and more. And, whether we are screening potential plaintiffs in a class action lawsuit or accepting collect calls from inmates client, our law firm answering services will ensure you never miss a call. We also maintain a team of highly trained customer service staff, some of which are fluent in English and Spanish, and all of which are professional, courteous, and detail-oriented. In fact, our call center operators often function as virtual receptionists who are capable of enhancing your law firm's accessibility, efficiency, and customer service record. Call today and learn more about how our answering services offer lawyers in Newport Beach an incredible value. Our medical answering services offer Laguna Beach healthcare professionals a cost-effective solution for managing incoming phone calls. Our highly trained staff provide Laguna Beach doctors, dentists, psychologists, hospice facilities, and others, with highly accurate, caring, and HIPAA-compliant answering services. Our answering services operate 24 hours a day, 365 days a year, and can be personalized to fully meet the needs of your medical practices in Newport Beach. Choose from operator-assisted voicemail trees, live message taking, automated hold greetings, and more. Our virtual receptionists can even schedule medical or dental appointments, dispatch emergency medical technicians, and forward urgent calls to on-call doctors using text messages, pages, or phone calls. Call today to learn more. At LaBell Exchange, our municipal answering services can be tailored to suit all kinds of governmental departments in Newport Beach, including trash and recycling departments, parks and recreation departments, marine operations divisions, traffic divisions, fire departments, municipal water districts, and others. Our call operators are all highly trained and fully experienced in delivering call center services and have been recognized by our industry for their responsiveness, professionalism, and level of customer service. 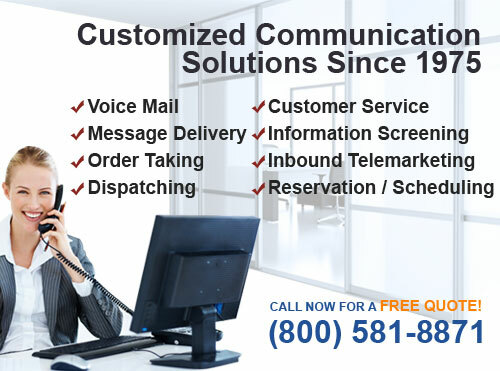 They specialize in providing operator-assisted voicemail, accurate message taking, cost-effective voicemail trees, advanced message delivery, 24/7 priority queues, order taking, scheduling, and translation services. Our prices are also surprisingly affordable. So give us a call today and learn more about our government and municipal answering services in Newport Beach.